"Pave the Way" is a wonderful play on two blocks with just enough difference to make you take a second glance. The design has fantastic movement and whimsy all in one. We'll learn some great building blocks and then how to put them together with those perfect points that we all love. 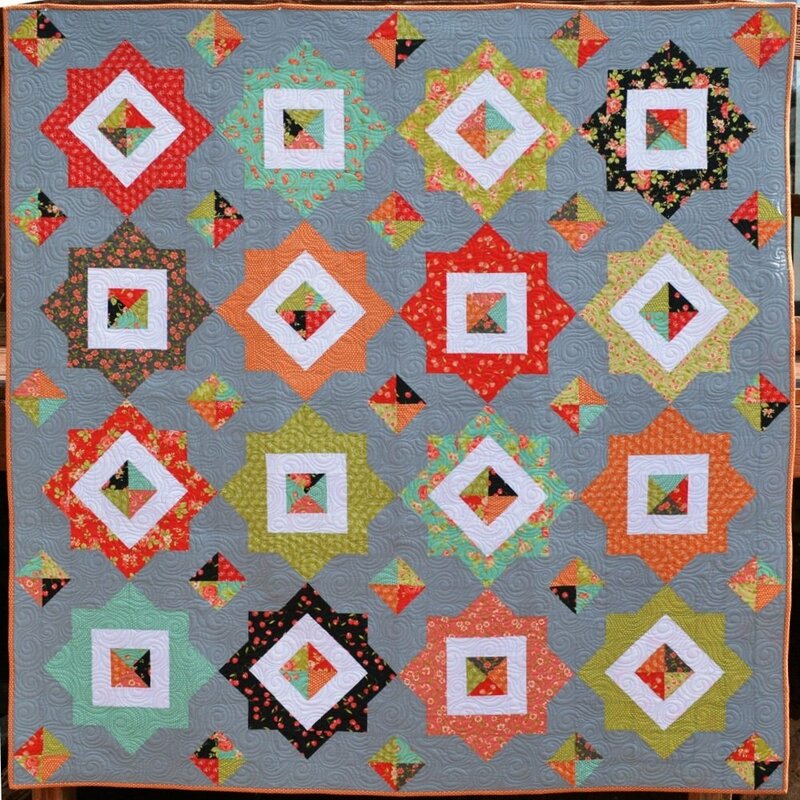 And with four size options of Baby, Lap, Picnic, and Queen, you are sure to find the perfect size project for you. So come sign up, we are going to have a great time!!! Cutting Instructions will be sent out to students as they sign up for class.